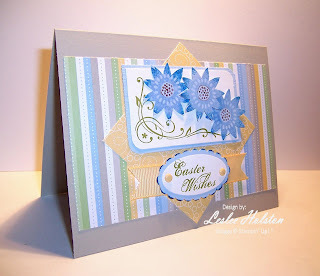 I love participating in the weekly challenges held by Splitcoast Stampers. Not only are the challenges fun but they can help you to overcome the creative block that many of us tend to run into. You must check them out! CAS was inspired by a particular sketch and the color challenge was to use Pink Pirouette, Riding Hood Red and Chocolate Chip. I think I rose to this double fun challenge. 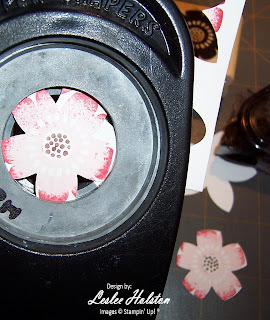 For the flowers, I used the flower stamp from SU! 's Best Wishes & More stamp set. I did the Rock-N-Roll technique...ink image with light color first and then 'roll' the outer edges in a darker color. I then punched them out with the 5-Petal Flower punch. 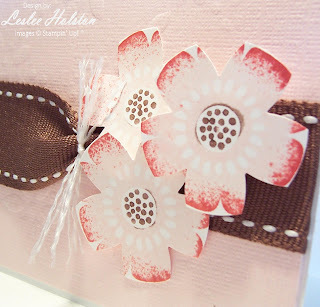 Then, I re-punched the flower using the 1-1/4" Circle punch. This just creates a 'different' flower image. I LOVE using my punches for double duty! 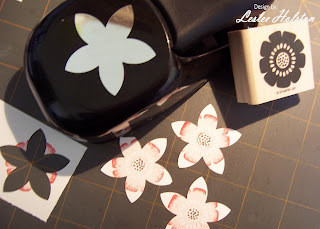 A quick tip: Before re-punching, adhere punch piece onto scrap paper to easily insert and hold for punch. Here's a close up of the finished flowers. 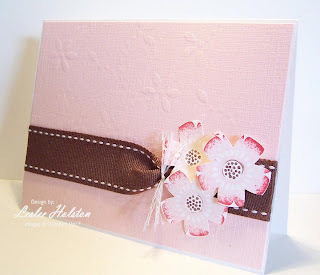 Below is a card where I used the same technique only I re-punched the flower using the same punch (slightly askewed). Thanks for stopping by today! I hope you find inspiration everywhere. Stop by again soon.